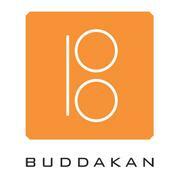 Buddakan, Stephen Starr's very busy, well-rated, modern Asian inspired restaurant in Old City, is now hiring personable, guest-centric, hosts to our team!!! We are hiring for a full-time position with immediate availability. (via Zagat) After twenty years, Stephen Starr's "Asian-inspired" "gastronomic nirvana" in Old City is still "staggeringly popular", turning out "ah-may-zing", "beautifully executed" fare served by an "attentive but not hovering" staff in "dark", "spectacular" quarters beneath a "massive" statue of Buddha; the "people-watching" never disappoints, and most deem it "perfect for a date night or a special occasion." (via OpenTable) Stephen Starr's Buddakan is a spectacular restaurant featuring exotic flavors of modern Asian cuisine with creativity and drama. Bon Appetit notes, "The mostly white space is striking, with a lit-from-within communal table in the middle of the room, a waterfall & a ten-foot, candle-bedecked Buddha. The religious icon watches over hip customers indulging in pan-Asian cuisine that far surpasses the fare usually found at hot spots like this." Newsweek reports, "Design also serves as a signifier for cuisine. You walk into Buddakan, one of the hottest new restaurants in Philadelphia, past a shimmering waterfall & Japanese river stones & you say to yourself, 'ginger-miso everything' even before you see the magnificent 10-foot Buddha dominating the dining room." Named one of "America's Top 50 Restaurants" by Travel & Leisure and 'Top Restaurant for Fun' by Gourmet, Buddakan has become one of the country's most talked about restaurants.